The St. Paul’s Church in Kandy, Sri Lanka and is located on the sacred grounds of the Temple of the Tooth Relic. 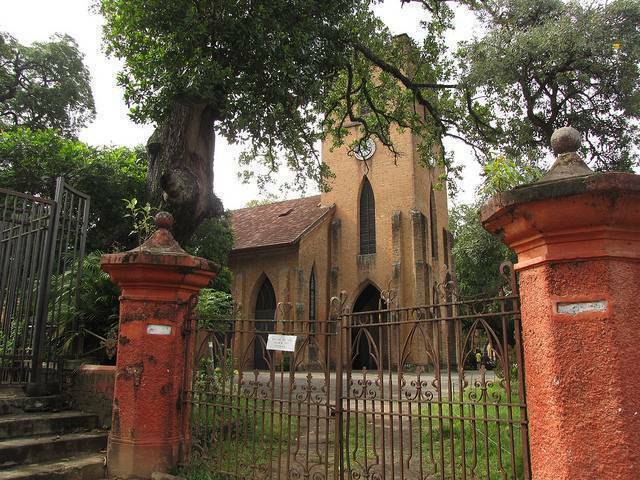 This church serves as a reminder of the British rule which is important to the history of Sri Lanka. It is a short red-brick tower which looks a little out of place in this densely populated town, and is a testament of the Sri Lankan tolerance then and now. The construction of this temple was completed in 1848 and was later enlarged in 1928. It was originally meant to be a symbol of British power. It has been called as “Garrison Church” since it was originally used by British officials and garrisons. The St. Paul’s Church is a wonderful example of Neo-Gothic architecture. The inside of the church gives some idea about the life of the British people in the early 19th and 20th century. The interior is a piece of English Victoriana. It also houses a 300 to 400 years old piano which is the most striking thing of this church. The structure is really beautiful and the silence is very calming. The church adds beautifully to the peaceful and religious flavour of the town of Kandy. It is a perfect example of a structure standing tall and imposing from the outside but deeply calming on the inside.